We are affianced in presenting to the industry a top class range of Paprika Powder. We are known as a prominent processor, supplier and exporter of Quality range of Rice, Spices, Pulses, Salt and other Processed Food. We also offer wide range of Non Food Product for Super markets. Rasam is another South Indian dish, enjoyed with white rice. It is very close to soup and in many places served as a starter. At Surya, we take great care to help bring home great taste with a balanced bled of spices. Coriander, Cumin, Fenugreek, Chilli, Curry Leaves, Turmeric, Black Pepper and Salt. 100gm, 50gm mono cartons and 100gm standy pouch. Since our foundation, we have been engaged in offering premium quality Rasam Powder. Cherished for its tempting flavor, this powder is widely used to prepare south Indian rasam recipes. We offer Instant Rasam Powder that is prepared as per the traditional south Indian recipe. 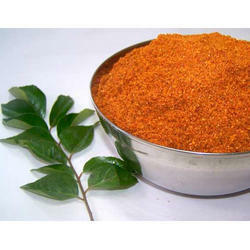 We prepare the Instant Rasam Powder using fresh spices and other material. The Instant Rasam Powder can be used to prepare delicious rasam quickly and conveniently. Sinni Metals & Farms Pvt. Ltd.
Enriched with vast industrial experience, we offer a quality approved array of Rasam Powder. 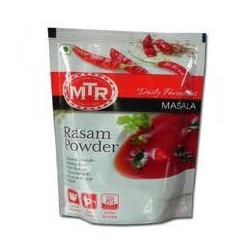 The Rasam Powder we offer is widely demanded amongst the clients for its rich taste. Available in safe packaging these products are hygienic in nature.